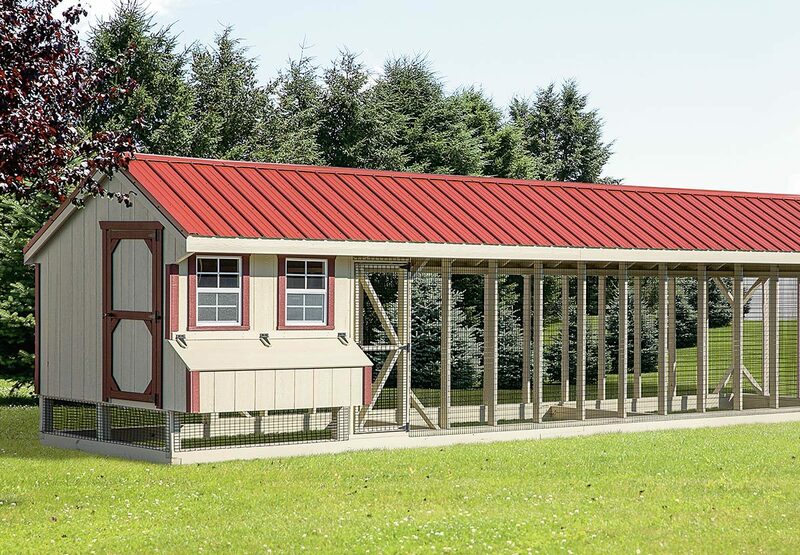 This enormous Quaker style chicken coop features a huge walk-in chicken coop and run under one roof. This classic combination is a great way to let your birds inside and outside with assurance of safety from predators. 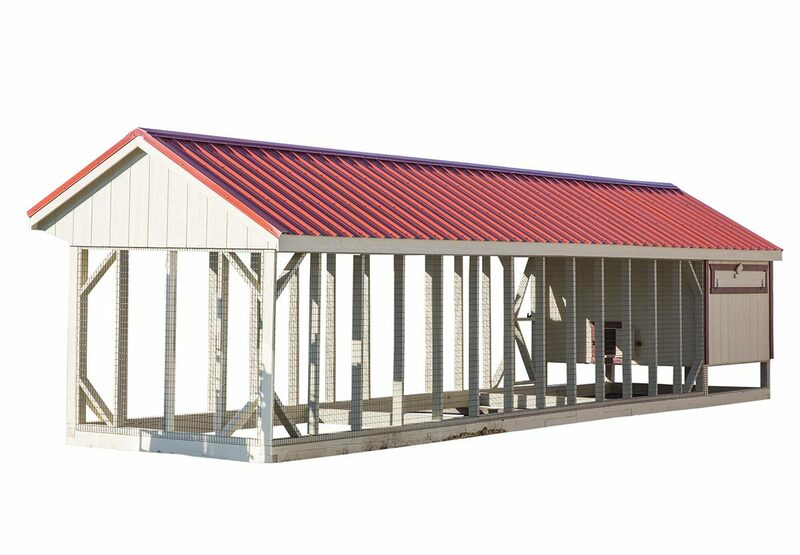 It's Amish-made with the highest quality building materials here in the USA!